We will arrange a courier to pick-up and drop-off at a convenient time for you. 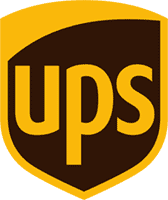 Use a UPS Drop-off Point and we’ll return items to your supplied address via courier. Arrange your own courier collection and we will return your items via courier. Open 08.30 to 17.00. We can offer a same day service for an additional 25% fee. Collections and deliveries are made via insured courier, for your protection. We aim to be as flexible as possible, which is why we offer our standard courier and trade counter service as well as our managed service, carried out by our own fleet of vans. We use an insured UPS service to carry out collections and deliveries, so you can rest assured that your equipment is in good hands. Remember: You must package your tester(s) sufficiently as we will not be held responsible for any damage caused during transit. If you have over 20 items (in one consignment) for collection or repair, we can collect them from you using our own fleet of vans. Use the quick quote form to on this page and we will get back in touch with your shortly with more information and to arrange a suitable collection time for you. For companies with a large number of assets, we offer an online asset management portal with logistics carried out by our own fleet of vans. Available online 24/7, you can manage your assets, download calibration certificates, get reminders, request collections and much more. Find out more by clicking the link below.